Where will you winter your boat for the upcoming storage season? Choose Michigan’s finest full-service facility — Pier 33 in St. Joseph for your winter boat storage needs. “EARLY RATE” APPLIES IF BALANCE PAID IN FULL BY 10/31/2018. “LATE RATE” APPLIES IF BALANCE PAID AFTER 10/31/2018, PLUS 1/ 1/2% PER MONTH. Includes: Haul out, pressure wash, pump out, drain water system jack stands & set, spring launch. All other services additional. Includes: Storage only, boat to be delivered & picked-up via trailer by owner. All other services additional. For our LOC Boaters, only. “Remain on Rack”. Boat must be stored in place On Rack by 9/23/18. Includes: Haul out, pressure wash, pump out, jack stands & set, spring launch. All other services additional. Contact Rebekah Shafer at (269) 983-3333 or via e-mail, with any questions you may have. All measurements for Linear Footage or Square Footage are computed based upon longest published length and beam or actual tape measurement at Pier 33’s discretion. Please note, sailboat storage is not available at Pier 33. Outside storage requires winterization of boat to protect from freeze damage. Boat owner is responsible to perform winterization or to request (prior to 10/31/2018) winterization by Pier 33 service department per published pricing. No winterizing guarantees after first freeze. 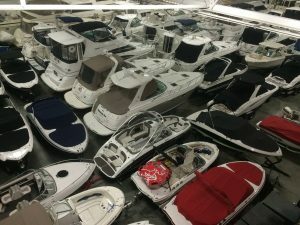 No winterizing guarantees for boats removed from Pier 33 premises prior to spring commissioning by Pier 33. No access provided to outside contractors without written consent of Pier 33 and such access is always at Pier 33’S unconditional discretion. Your rate will be adjusted to reflect Late Rate and 1 1/2 per month interest charges will accrue for any storage balances not paid in full by 10/31/2018.